This year I thought it would be fun to do a little more than just wear green. 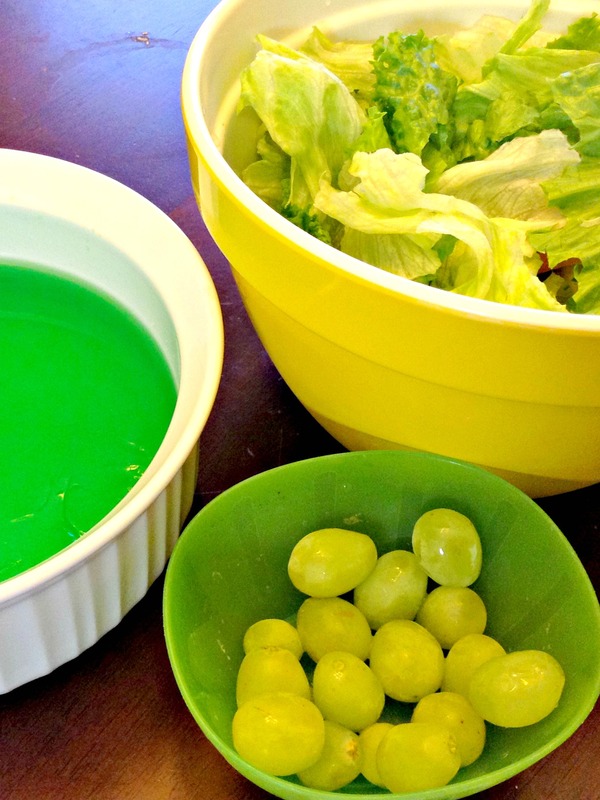 I scoured the web and found some super fun ideas to share with you that would be perfect for a family style St. Patrick’s day. 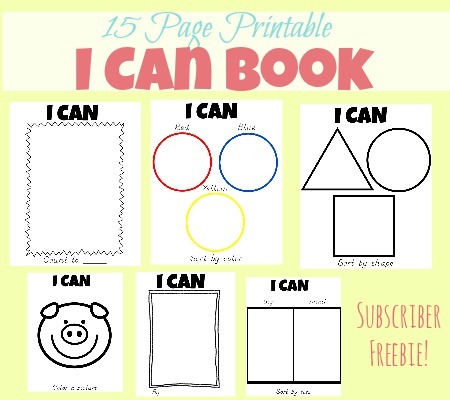 Tori at Thoughtfully Simple offers a super cute free printable to set out in the morning with your child’s breakfast. I’m sure your kids will think it’s so cool to see green milk in their cereal bowls. Plus, St.Patricks day in on a school morning this year so the fact that this breakfast is quick and easy is another perk. 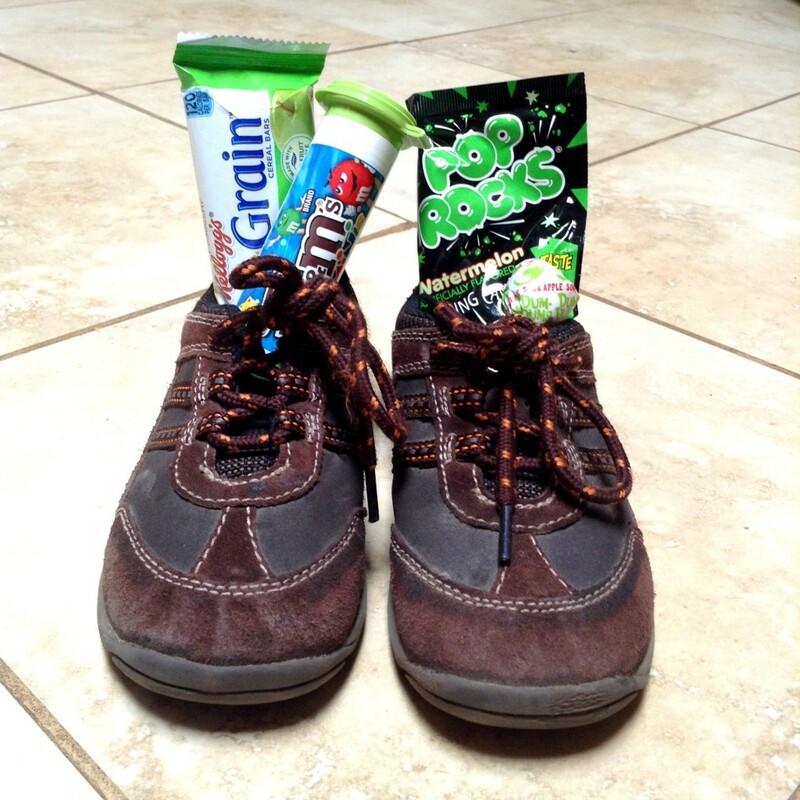 Have children wake up in the morning to find their shoes filled will green treats. This would be such a fun way to start the day and is sure to excite kids of all ages. I mean who doesn’t love a fun surprise. Serve green food for lunch. I love this idea because it would be so easy to for all family members whether they are away or at home. It would be fun to pack your husband or school age kids green lunches for them to take to work and school. You could also make and eat a green lunch at home. Then even if you are apart during the day, it would be like you are celebrating together. 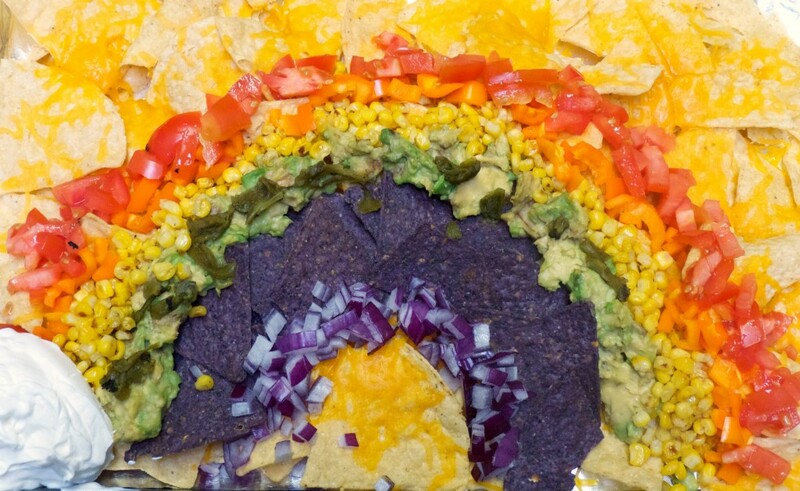 For dinner, serve rainbow themed food. 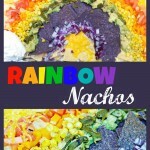 I love this a cute rainbow pizza from Over the Big Moon or our rainbow nachos. You could also have Sprite or sparkling water with rainbow ice cubes. Serve a fruit salad with all the colors of the rainbow. The possibilities are endless. 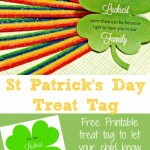 Have each member of the family decorate a shamrock with things they feel lucky to have. This idea was originally used for a school classroom, but would be just as fun to do together at home as a family. Sunny Days in Second Grade offers this free printable shamrock and instructions on how to create your own lucky clover. 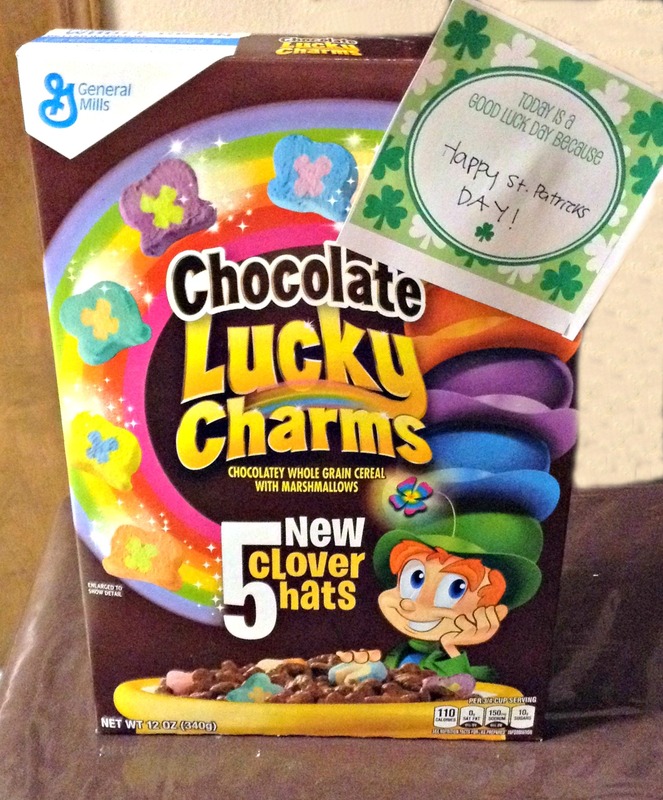 Secrets of a super mommy shared this adorable lucky clover hunt idea. Most kids love scavenger hunts and this one is by far the most clever St. Patricks day scavenger hunt I’ve seen. First, she has the kids find a bunch of hidden paper shamrocks. 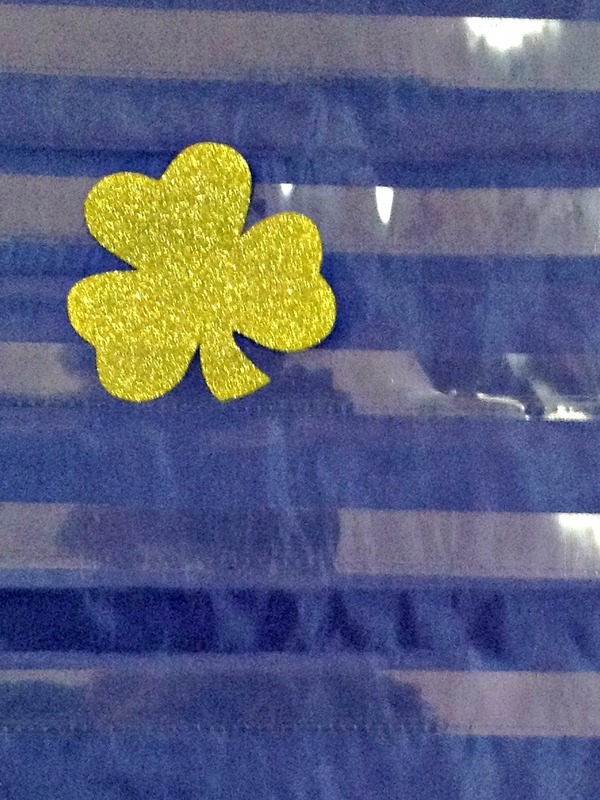 Each Shamrock has a number on the back which coordinates with a numbered bag. After the kids have collected the all the Shamrock, they get to exchange them for a prize out of the numbered bag. Then find out if they are rewarded with a lucky or unlucky prize. For dessert have leprechaun floats. These are made by using lime sorbet and Sprite. This is actually my husband’s family tradition that we have now carried on in our own family. Everyone in my family enjoys these but my husband especially looks forward to having these each St. Patricks day. 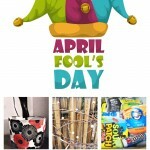 I hope that you can celebrate by trying out some of these fun ideas. Have a happy St. Patricks Day! 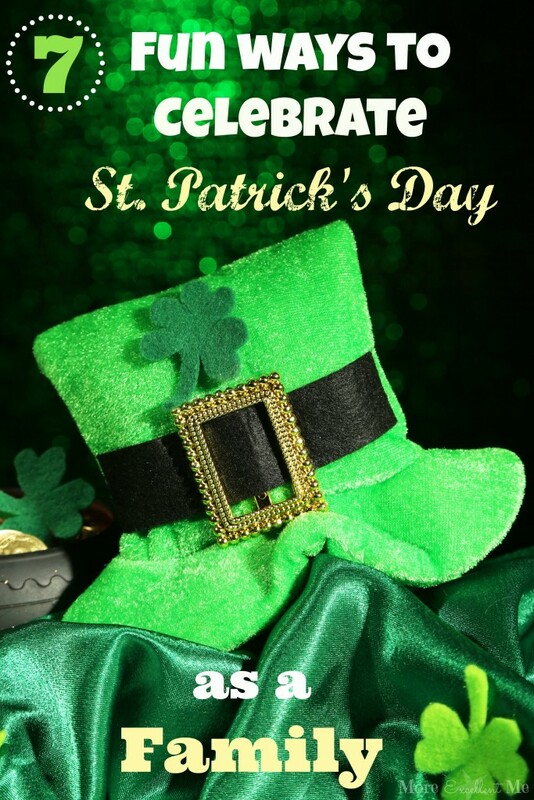 What are your favorite St. Patricks day traditions? I would love to hear. Please comment and share!